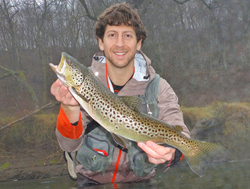 Fishing, Hunting - Monona Chamber & Economic Development, Inc.
Iowa boasts some of the most beautiful and plentiful trout streams in the Upper Midwest. A true angler’s paradise, the northeast region of Iowa is dotted with hundreds of miles of trout streams. Some are easily accessible in state or county parks, and others are located in some of Iowa most wild and remote natural spaces. 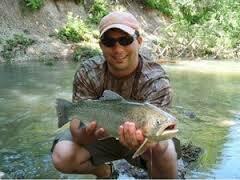 Iowa trout streams offer rainbow, brown and brook trout, both naturally reproducing and stocked. For information on your fishing opportunities at or near Monona, Iowa, access the Iowa DNR's website here. Hunters are now able to hunt on almost 8,000 acres of private lands in Iowa, thanks to landowners who participate in the Iowa Hunting and Access (IHAP) program. Landowners receive funding and expertise for habitat improvements when they enroll in the program, and in turn allow public access to their land for hunting. To help make this program be successful, hunters are asked to respect private property when hunting and follow these IHAP tips and guidelines. Walk-in public hunting through IHAP is available between September 1 and May 31st. Areas are posted with signs (to the right), and are regularly patrolled by Iowa DNR conservation officers. Safety zones also are clearly marked. Learn more about the IHAP program and benefits to landowners and hunters.For more information on hunting opportunities at or near Monona, Iowa, access the Iowa DNR's website here.